You need to set up your WordPress web server to accept any incoming requests for the domain you want to map and the location to send them to. 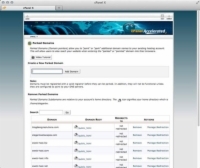 cPanel control panel is quite popular and available on many web hosts. On cPanel-based web hosts, this task is referred to as domain parking. 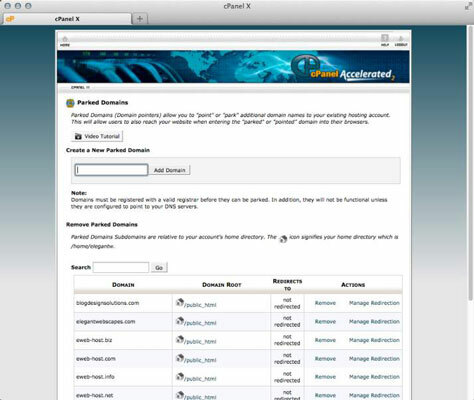 1Log in to your website’s cPanel. The address is provided by your web host and usually available at http://yourdomain.com/cpanel. 2In the Domains section, click the Parked Domains icon. The Parked Domains page displays in your browser window and lists any domains you have parked (if you have previously parked any) and provides a form to enter a new domain. 3In the Create a New Parked Domain section, enter the domain name you want to map. The domain is directed to the root folder of your website, which is where your WordPress install should be located. 4Click the Add Domain button. The screen refreshes and shows the domain you added in a list under Domains, which indicates successful parking of the domain you entered in Step 3. Other web hosts may refer to domain parking as pointing or mirroring. You may need to ask your web host support team which area you need to do this in. You’re using a ServerAlias directive for the mapped domains, telling the web server to send all requests for the mapped domain to the domain where WordPress is installed.